The Chop loves Relay, and you should too. 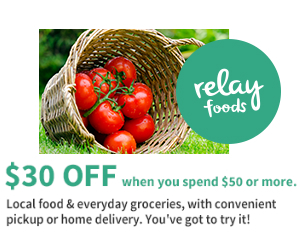 Click here for our review, or click on the banner to save $30 on your first order of local, high quality groceries delivered right to your door. Copyright © 2019 The Baltimore Chop - .